Royal Stag Barrel Select Large Short Films, is back with its latest short film, ‘Mumbai Varanasi Express’ by Aarti Chabria. Over the last 3 years, the platform has gained immense popularity and has become one of the most credible short film platform in India. 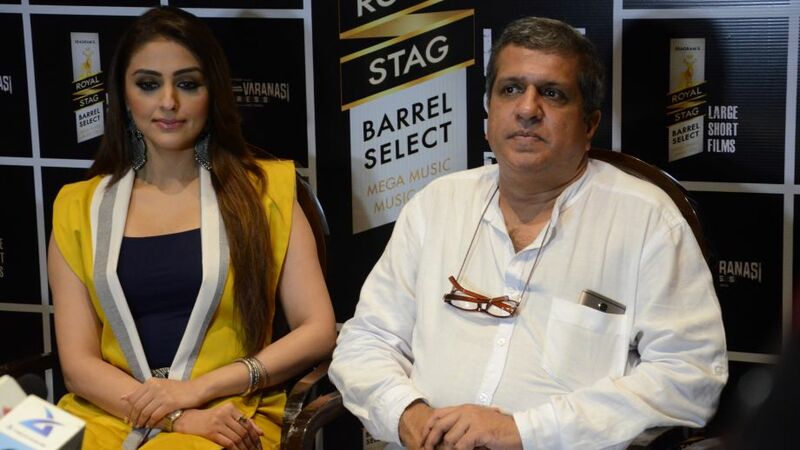 Royal Stag Barrel Select Large Short Films is back again with a new film by Aarti Chabria titled ‘Mumbai Varanasi Express’. A short film which portrays how the quest for success and material desires takes a toll on our health, Mumbai Varanasi Express embarks on a journey of living life king-size and teaches why it is important to enjoy every moment of it. Royal Stag Barrel Select Large Short Films has released some of the most prodigious and award winning short films which truly reflect originality, imagination and perfection such as ‘Ahalya’, ‘Nayantara’s necklace’, ‘Interior Café’, ‘Ouch’, ‘Chutney’, ‘That Gusty Morning’. Starring Darshan Jariwala, Shekhar Shukla and Vivek Singh, ‘Mumbai Varanasi Express’ is a short film about many of us who work too hard to reach a level of success where we can enjoy luxuries and provide our families with a comfortable life. However, in the very magnetic web of wanting to do better and better, we drive ourselves to a point that when the time comes to enjoy the success, our health doesn’t allow. The film takes us through the journey of a trying to find the meaning of life. It portrays that life is made of little yet significant moments which count for more than what money can give us. It talks about life beyond all things materialistic and beyond all that’s known to us. The film has received accolades both nationally and internationally. The protagonist in the film, Darshan Jariwala is a national award winning actor and the sound design of the film has been done by Oscar award winner Resul Pookutty.